Available from www.jacquelinehammond.co.uk and www.smartdeco-style.com among other retailers. 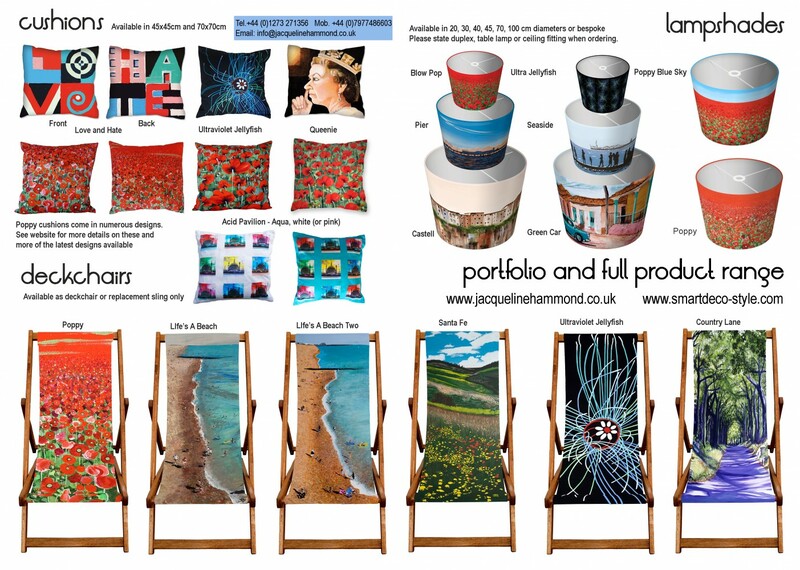 The deckchairs feature reproductions of her popular scenic artworks on to the canvas sling, so people can enjoy the seaside, pastoral setting or country lane from the comfort of their own back garden or patio. The Smartdeco range includes – Art framed in a deckchair. See a work of art you want and sit on it! Link | This entry was posted in Business, Press, Smart Deco Collection and tagged Art, artist, deckchair, deckchairs, designer, gardening, gardens, Outdoor Furniture, outdoor living, retail, summer. Bookmark the permalink.